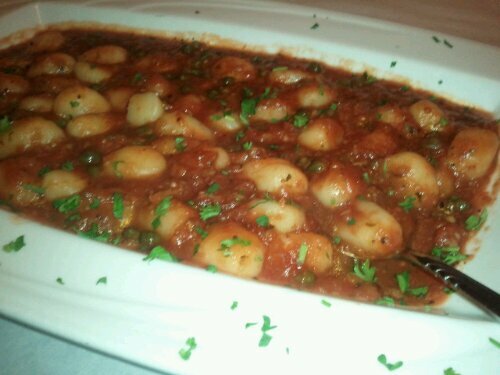 So I’ve been on an Italian food kick recently, and I think it all started with this amazing gnocchi from Wave 2700. (I think about it all the time! 🙂 ) We dined here one other time last year, and the food seems to be consistently excellent. A great place to go when you’re feeling a little fancy, or want to dine with omnis for a special occasion. And if you’re anything like us, you’ll appreciate the small selection of craft beers that they rotate. I’d also like to applaud that they now have vegan dessert options, and that the vegan menu has been given its own section in their regular menu instead of being relegated to the trifold on the table. Rolls, salad and dressing. All vegan. Yes! So much deliciousness. This sauce is bursting with fresh basil, tomato, and garlic. Wave 2700 is inconspicuously located right next to the lobby of the Best Western hotel at 2700 N. Federal Hwy, Boca Raton, Fl. 561-361-2700. Reservations accepted.